Analyst prediction du jour: First webOS tablet to ship in March? While we're not fond of reporting what every analyst says, lately there's so few out there that even remember that webOS exists so we're duly reporting this one via Forbes. 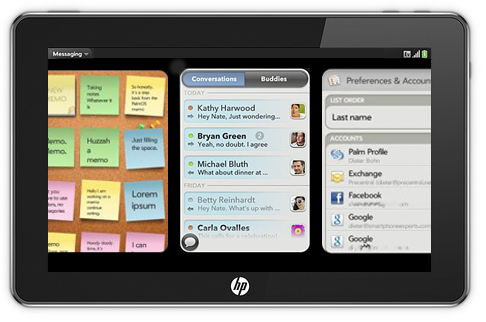 According to BMO Capital Markets analyst Keith Bachman, HP will ship its first webOS tablet in March 2011. Bachman's information comes from a recent trip he and his BMO colleagues took to Asia, where they met with "more than 30 tech-related companies." According to Forbes, Bachman isn't "overly optimistic" about the webOS tablet and its share of the 40 million worldwide tablet sales that BMO expects for 2011.